Almond, John MacPherson (baptized John), Church of England clergyman and military chaplain; b. 1 Aug. 1871 in Shigawake, Que., son of James Almond and Mary Ann Macpherson; m. 30 Oct. 1901 Nellie Estelle Beemer in Quebec City, and they had three sons; d. 17 Sept. 1939 in Montreal. Born to farmers on the south shore of the Gaspé peninsula, John Almond studied for the priesthood at Bishop’s College in Lennoxville (Sherbrooke) and received a ba in 1894. He would not complete his ma (also from Bishop’s) until 1901, after his return from the South African War. Like many young Anglicans, he was attracted to the ideal of the “muscular Christian” portrayed by British author Charles Kingsley, and he played rugby and hockey while at Bishop’s. After his ordination as deacon in 1896 and as priest on 5 Sept. 1897, he sought adventure as a missionary in Labrador. By 1899 Almond was serving in Quebec City as assistant curate at the Cathedral of the Holy Trinity. In October he volunteered as chaplain to the 2nd (Special Service) Battalion of the Royal Canadian Regiment of Infantry embarking for South Africa. Lieutenant-Colonel William Dillon Otter*, in command of the Canadian contingent, did not want any chaplains, but public opinion forced the militia authorities to make provisions for two, one Presbyterian and one Roman Catholic. Anglicans, outraged that their denomination was not represented, persuaded Prime Minister Sir Wilfrid Laurier* to authorize the last-minute appointment of Almond as a third. Unwelcome and usually left behind with the sick or wounded, Almond missed the battle of Paardeberg in February 1900, during which his fearless Roman Catholic compatriot Peter Michael O’Leary, who had accompanied the men into combat, became a national hero. Almond’s reputation with the regiment reached its nadir when he was found intoxicated on hospital wine. Although he persuaded Otter to let him redeem himself, when the troops returned to Canada, most had little good to say about any of their chaplains except O’Leary. Almond took a parish in Grand-Mère (Shawinigan), Que., until 1904, when he moved to Trinity Church in Montreal. There he became president of the South African Veterans Association in 1908 and the following year was a founding member of the Last Post Fund, established by Arthur Harold Douglas Hair and other citizens of Montreal to provide impoverished veterans with a funeral and a proper burial. The fund’s first president, Almond held office from 1909 to 1915 and would do so again from 1932 to 1939. 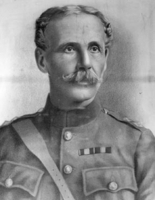 In 1911 he joined the Canadian militia as honorary chaplain to the 6th (Duke of Connaught’s Royal Canadian) Hussars. His organizational ability came to the attention of Bishop’s College, where he led the Alumni Association, chaired the Diamond Jubilee Fund drive in 1913, and would serve as a member of Corporation, the governing council of Bishop’s, from 1908 until his death. When war broke out in 1914 the South African episode was either forgiven or forgotten; Almond was one of the first chaplains accepted at the training camp in Valcartier for the Canadian contingent. At the front he was promoted honorary major early in 1915, and on 19 August he became both lieutenant-colonel and assistant director of the Canadian Chaplain Service when the Reverend Richard Henry Steacy, a political crony of the minister of militia and defence, Samuel Hughes*, was named director. Almond’s diplomatic management of interdenominational religious work at the front won over many chaplains alienated by Steacy’s maladministration, sectarian anti-Catholicism, and indifference to front-line shortages. Convinced that a religious revival had broken out among the troops, Almond urged his military superiors and Roman Catholic colleagues [see John Joseph O’Gorman] to lobby for Steacy’s removal. He considered Steacy the greatest obstacle to supplying enough chaplains for the rise in religious devotion at the front. 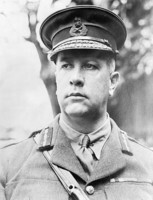 As preparations for an assault on Vimy Ridge began in November 1916, the Canadian overseas military administration was extensively reorganized under a new minister, Sir George Halsey Perley. General Richard Ernest William Turner* recalled Almond from the front, appointed him director of the CCS, which took effect on 15 Feb. 1917, and promoted him honorary colonel on 23 August. Over the next two years Almond restored the tarnished reputation of the Canadian chaplaincy. He set up parallel operations for Protestants and Roman Catholics, which solved the sectarian impasse created by his predecessor, and he discreetly removed incompetent or disreputable clerics. His establishment of a CCS branch in Canada with direct links to home denominations improved services for returning soldiers, veterans’ hospitals, and training camps. 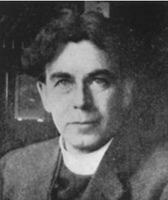 Convinced that the post-war influence of the churches with veterans depended on the comprehensive ministry of his chaplains, Almond insisted that his padres undertake educational and social work with the troops, provoking rivalry with the Young Men’s Christian Association until an accord was reached in 1918. He enjoyed a close professional relationship with several senior Canadian commanders, including Turner and Lieutenant-General Sir Arthur William Currie, who appreciated his no-nonsense attitude and his dedication. As victory approached, Almond had subordinates circulate a questionnaire among Anglican chaplains overseas on how the lessons of the war could be transmitted to the church at home. The recommendations were compiled into a report that was confidentially submitted to the Canadian bishops; prophetically, it criticized the church’s conservatism and its failure to address the problems of society. Like many chaplains at the front, he sympathized with those affected by poverty and despair, especially the urban poor. Like other padres, he hoped that a church previously divided by wealth and class would be transformed by veterans who had experienced a comradeship unknown in peacetime. Almond was disappointed, though evidently not embittered, by the eventual suppression of the report by the bishops, as well as by the general rejection of the suggestions made by chaplains of other denominations to their own churches. For his wartime work, Almond had been created a companion of the Order of St Michael and St George on 3 June 1916, and in June 1919 he was made a commander in the Order of the British Empire; in addition, he received an honorary dcl from Bishop’s in 1920. Taking his cue from critics in Canadian churches who, in the Anglican press, advised idealistic chaplains to get over the war and get back to old-fashioned work, he returned to Trinity. 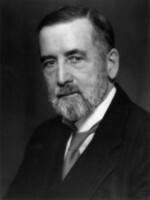 A vigorous and well-connected clergyman, he would be elevated to archdeacon in 1932. In 1923 he inspired his ailing and depleted congregation to merge with another and build a new church in Notre-Dame-de-Grâce ward. Completed two years later, Trinity Anglican Memorial Church was his monument to the soldiers of the First World War. For the rest of his life Almond maintained close ties with soldiers and veterans. At the time of his death, he was chaplain to the Canadian Field Artillery and Ste Anne’s Hospital, a military institution; he had been chaplain to the Montreal jails since 1912. He was an honorary member of the mess of nearly every military unit in the city, as well as a supporter of the Amputations Association of the Great War. When the Second World War broke out, he, along with almost 70 of his fellow padres, offered to help re-establish the chaplain service. A few days later, on a Sunday morning, he died in his sleep. John Macpherson Almond was a pioneer in the development of a strong and active ministry to the Canadian soldiers of the Great War. His drive to achieve denominational equality for Roman Catholics, involve the home churches directly in the recruitment of chaplains, and ensure a vigorous front-line presence for his clergy founded the major traditions of military chaplaincy in Canada. Even though the structures he adapted so effectively were replaced by denominational dualism in World War II and the Cold War, the Canadian Armed Forces since 1997 have returned to the single-service, forward-deploying, and multi-faith chaplaincy that had proved so effective on the battlefields of Europe. BANQ-BSLGIM, CE103-S16, 1er août 1871. FD, Cathedral Holy Trinity (Quebec City), 30 Oct. 1901. LAC, R611-275-6, vols.4615, 4648, 4663–4664; R3902-0-7. Canadian Churchman (Toronto), 23 Nov. 1899. Le Devoir, 18 sept. 1939. Montreal Daily Star, 18 Sept. 1939. Quebec Morning Chronicle, 6 Sept. 1897. Canadian men and women of the time (Morgan; 1912). D. [W.] Crerar, “The church in the furnace: Canadian Anglican chaplains respond to the Great War,” Canadian Church Hist. Soc., Journal (Toronto), 35 (1993): 75–103; Padres in no man’s land: Canadian chaplains and the Great War (Montreal and Kingston, Ont., 1995). “Diocese mourns Ven. Archd. J. M. Almond,” Montreal Churchman (Granby, Que. ), 27 (1939), no.10: 4, 22. Prominent people of the province of Quebec, 1923–24 (Montreal, n.d.). Duff W. Crerar, “ALMOND, JOHN MACPHERSON,” in Dictionary of Canadian Biography, vol. 16, University of Toronto/Université Laval, 2003–, accessed April 24, 2019, http://www.biographi.ca/en/bio/almond_john_macpherson_16E.html.